Let teams compete against each other with the Bound Challenge! The Bound Challenge allows several teams or single players to play a Bound against each other. The Bound Challenge is ideally suited for Bounds which should be played by several small groups, e. g. in the library, at the zoo or in the museum. For this, neither the creator nor the participants have to be registered at Actionbound and can nevertheless benefit from a combined evaluation of the results. Any number of players or teams are grouped together using the individual start code of the Bound Challenge. If a new Bound Challenge is created, a start guide PDF with QR code is automatically created for downloading and printing. 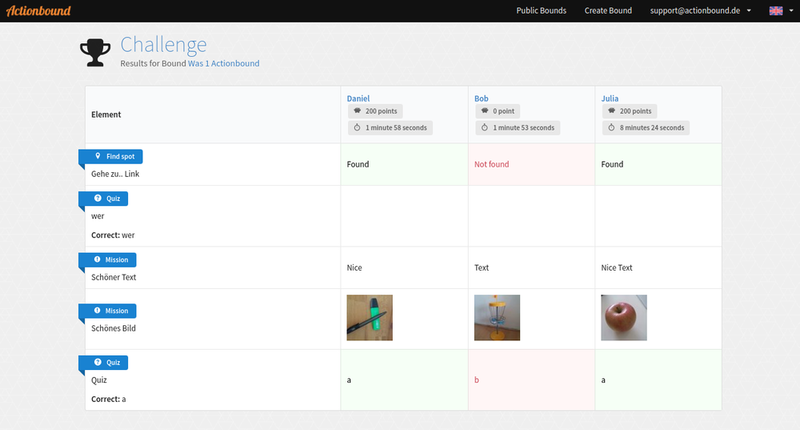 The Bound Challenge creator also receives a link to access the results of his group and to easily compare them. 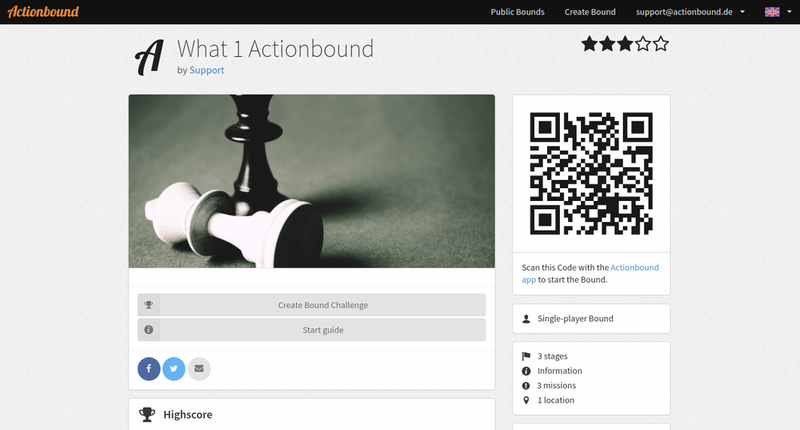 The Bound Challenge is available if the Bound owner has a valid Actionbound license and the Bound is online. The Bound Challenge is part of our license feature set. If you want to unlock this feature for your Bounds, check here for suitable license. If you can't find the right product for you, feel free to contact Benedikt Heiß. The Bound Styler gives you the opportunity to customize the appearance of your Bounds according to your own ideas and wishes. Logo: You can add your own logo on the home screen. 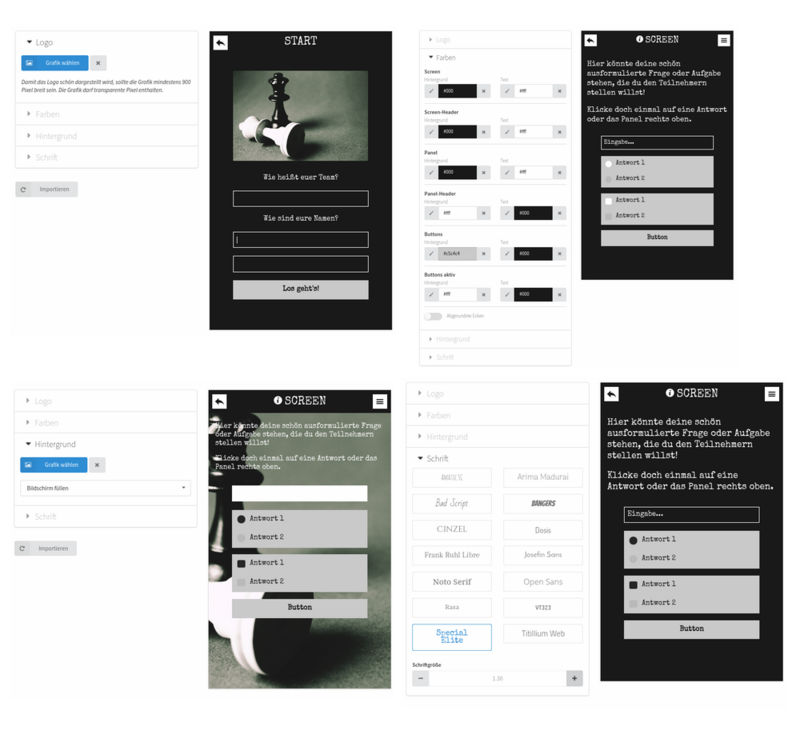 Colors: You can customize the colors of the individual elements of the Bound interface. In addition, you can set whether the buttons should be displayed square or rounded. Background: How about a nice picture as a background for your Bound? Font: Here you can choose from 14 fonts and adjust the size. Import: In addition, you can use the Import function to import a style from one of your other Bounds. Here are a few examples of how Bounds can be customized with the Bound Styler. The Bound Styler can be purchased as a premium feature for your account for one year at the price of 480 €. 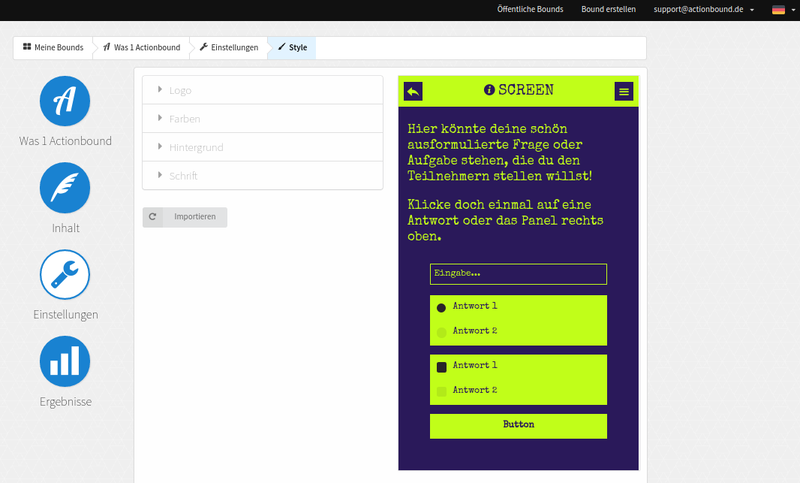 This allows you to customize all your Bounds freely. If you are interested please contact us per e-mail . "Scavenger Hunts – Actionbound vs Paper". They are a quick guide how to start with creating your first Bound. 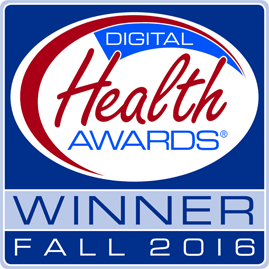 We proudly announce that the Henry County Health Center and Actionbound won a bronze Digital Health Award in Fall 2016. The Summer Wellness Actionbound Challenge entered in the Division: Hospital — under 250 beds / Audience: Consumers / Classification: Mobile Digital Health Resources / Category: Mobile Application, Interactive, Gaming, Smartphone. Thanks to Stacy Speidel for creating the Bound and representing HCHC and Actionbound. LIBERTYVILLE, IL — The Health Information Resource CenterSM announced the winners in the fall session of its 18th annual Digital Health AwardsSM which honors the world’s best digital health resources. The competition, which is held twice yearly, featured 80 categories in the following entry classifications: Web-based Digital Health; Mobile Digital Health Resources; Personal Digital Health Devices / Wearables; Digital Health Media / Publications; Digital Health — Social Media; and Connected Digital Health. A panel of 24 experts in digital health media served as judges and selected gold, silver, bronze, and merit winners from nearly 400 entries. Fall 2016 Gold Award winners included Sharecare (Website); DaVita (Social Media — Facebook); Visible Body (Mobile Application); Spirit Health Group (Digital Publication — Magazine); Amino (Web-based Resource / Tool ); and Nationwide Children’s Hospital and Basecraft (Microsite). A complete list of winners and entry categories can be found at digitalhealthawards.com. The Health Information Resource CenterSM (HIRC), organizer of the Digital Health Awards, is a national information clearinghouse for professionals who work in consumer health fields. Other well-known HIRC programs include the annual National Health Information AwardsSM (healthawards.com), which annually recognizes the nation’s best consumer health information (in non-digital formats), and the annual National Women’s Health & Fitness DaySM, held annually the last Wednesday in September. Visit fitnessday.com for details on these events, both the largest health promotion events of their kind.